Who doesn’t love a fun Circus party? This game is perfect for a birthday party or just to have some Circus fun. Free printable Circus Bingo is just the thing for your kids birthday party! 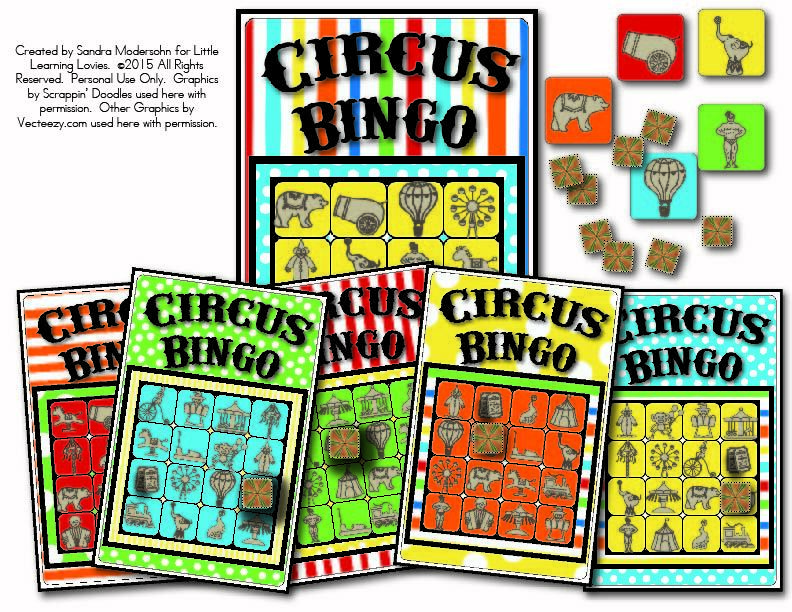 Adorable nostalgic graphics make our free printable circus bingo game fun for kids and adults alike! We give you everything you need to play, including easy to cut out bingo chips! Just enter your name and email address below to confirm that you’re on our email list. If you aren’t currently a subscriber, adding your information below will automatically add you to our email list. We send email whenever a new post is published to the blog, which means you’ll NEVER miss a freebie from Little Learning Lovies! While you’re here, you can see all of our other really fun Subscriber Freebies HERE! There’s lots more fun coming your way! See you soon!